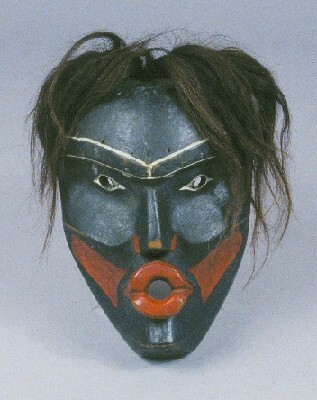 Dzoonokwa Mask, George Walkus. Wood, paint, and human hair. From the Burke Museum. No need to watch the full show. Just click here to see the two-and-a-half-minute Burke snippet. I’m sorry I can’t embed it, but just click and enjoy. The mask pictured above is one of the two featured. You can read a little more and get additional views of the mask here.